We are beginning our series with Ronn Campisi. Ronn Campisi specializes in publication design including newspapers, magazines and books. Ronn’s background includes broad experience in the field of publication design. He is the former design director of The Boston Globe. He has also served as design director of Boston, The Real Paper and Fusion magazines. He has designed the formats for many of the leading technology magazines and newspapers published in America including PC Magazine, Computerworld, Computer Reseller News and InfoWorld. Ronn has won more than 300 awards for his work, many of which were linked to his redesign of the highly successful Boston Globe Magazine. In 1983, he was the designer and part of the team that won a Pulitzer Prize for a special magazine section entitled War and Peace in the Nuclear Age. His work has appeared in the Graphis Annual as well as Graphis Magazine, the Type Directors Club Annual, Print and Communication Arts. He has lectured at the American Press Institute, The School of Visual Arts, Parsons School of Design, The Society of Newspaper Design, The Museum of Contemporary Art in Boston, The Boston Computer Society, The Smithsonian Institution in Washington D.C., and the British Design and Art Direction Association, London. 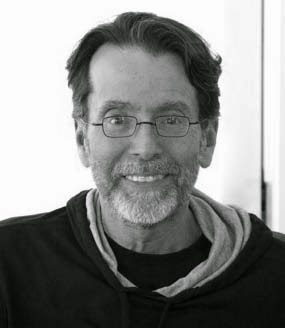 He has judged numerous design competitions including Art Directors Club of New York, The Society of Publication Designers, American Illustration, American Institute of Graphic Arts, The Society of Illustrators, CA Magazine Design Annual, European Illustration, The Society of Newspaper Design and the Type Directors Club. And now he's judging the 3x3 ProShow. nike roshe run australia cheap this sentence nike roshe run sale has been a long wait, listen to say how cheap the truth does not agree, then the sale quickly nodded and kissed lips. sale Hey smile, heart shouted cheap nike roshe run shoes Since nike roshe run australia then I have a girlfriend who is also friends, shopping, walking, holidays, nike roshe run australia open room. Perhaps the sale would like the nike roshe run australia last thing he is most excited to make it.